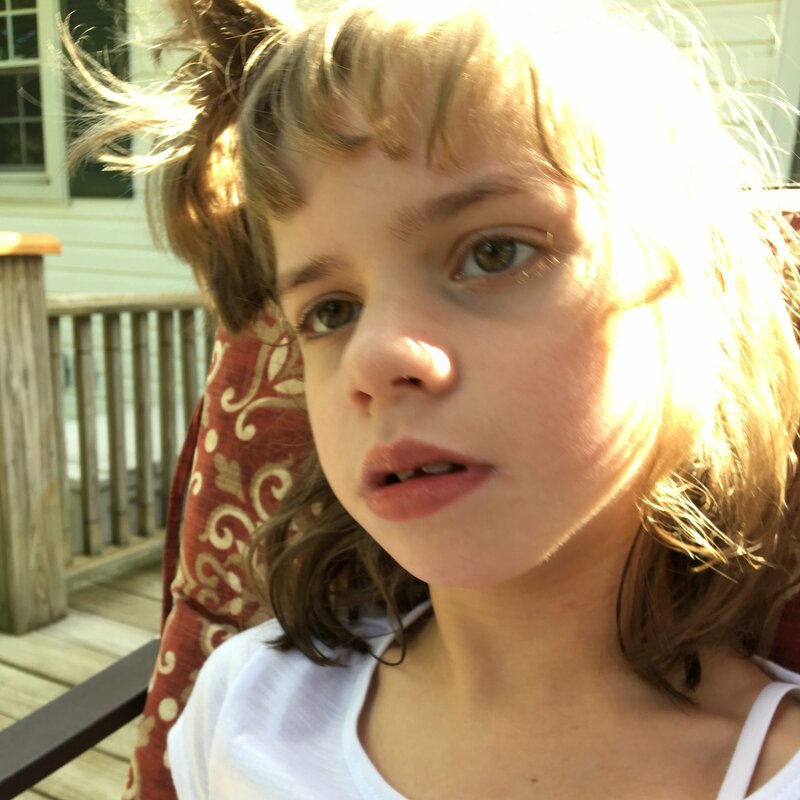 As you may know, Sierra Smith was born with CDG-1K (Congenital Disorder of Glycosylation). As a result, Sierra suffers from epilepsy, is unable to talk or walk, and requires 24/7 care. Now that she is 11-years-old, it has become more difficult to travel in the family car. On occasion, Sierra has missed out on some of the trips do to the physical strain of loading/unloading Sierra and her wheelchair (the wheelchair alone weighs about 80 pounds). Right now, even going to the store or a doctors’ appointment is a huge undertaking. Sierra and her family are looking to purchase a modified van with a lift so Sierra can more easily travel. Sierra loves going to school and is a wonderful daughter, granddaughter, cousin and niece. She has a contagious laugh and loves to be outdoors and go swimming. Having a modified van will allow Sierra to do these things with more freedom and independence than ever. However, a modified vehicle is extremely expensive and presents a financial challenge Sierra’s family cannot meet without your help. To help with the financial burden of Sierra’s uninsured medical expenses, a fundraising campaign in her honor has been established with Help Hope Live, a trusted nonprofit organization that has been providing community-based fundraising guidance to patients and their families for more than 30 years. All donations are tax deductible to the full extent allowed by law, are held by Help Hope Live in the Great Lakes Catastrophic Illness Fund, and are administered by Help Hope Live for transplant-related expenses only. Please consider making a contribution today and click the GIVE button. Keep an eye on this campaign because we will be planning some fundraising events soon and posting updates regularly. If you’d like to volunteer to help, please call one of us. As a lot of you know, we are looking at a handicapped van for my daughter on Monday or Tuesday next week. Please pray that everything works out and Sierra gets her van. This will definitely come in handy when we take are trips to see the animals at the zoo and for all of her doctors’ visits. I want to thank all of you from the bottom of my heart for your generosity and love. This means so much for our family. Sorry I have not updated lately, but as you all know, life gets busy. Sierra has had a rough time lately. For the past month and a half, she has had a few UTIs, a kidney infection, and double ear infections.AS a result, she has had 2 hospital stays last month at Children’s Hospital in Columbus. In addition, she is not urinating very much on her own. So, we are now having to catheterize her every day. With cathing, that can also increase her chances of getting another UTI. Along with these medical issues, she has had periods of extreme tiredness, sometimes sleeping almost the entire day. Today, she was moaning a bit so I am praying we are not getting another UTI. If you could, please keep her in your thoughts in prayers. As for the fundraising, we are still raising money for her wheelchair van. All donations are tax deductible and anything is appreciated. Sierra has been sick the last two weeks with ear infections and a UTI. On top of that, she had an allergic reaction to one of the antibiotics she was on. Today, however, she seems to be feeling much better and has returned back to school. I also wanted to update everyone that we are still planning on using some of the funds for a handicapped van, but we are also hoping to take her to California sometime within the next year to the NAPA therapy center where she would do a 3 week intensive therapy session. This place is highly recommended by many families with kids that have CDG and really makes a big difference in these kids’ lives. We will keep you updated. Thank you for your love and support. Sierra is fighting a bug right now, but she still being her usual happy self. Her seizures have been slightly worse. We believe that her body is still getting use to the new device or it will need adjusted. Sierra will be going to surgery tomorrow morning at Nationwide Children’s Hospital to have her VNS battery replaced. Prayers are appreciated. Today has been an emotional day for me. Right now I am worried about my sweet Angel. She has to wait for surgery till August 23rd to change the battery in her VNS. Earlier today she had a seizure where she nose dived into the pillow next to her and did not move. Of course I jumped up and ran to her. She seemed okay after a few seconds, but still worries me, especially since I have to work and rely on others to watch her. Plus, I have to go visit her new school tomorrow. Praying they will be a good fit for her. I did find out that her homeschool may have to provide a nurse or aide for her. That would definitely be helpful. Although things can feel overwhelming, I am thankful for a lot of things. Sierra is over being sick and slept longer last night. Sierra slept more than two hours in a row! We got up at 4 am. She slept for 7 hours in a row!!! Hopefully this trend will continue. Now that I am up, I am going to make my to-do list for today. First thing, I am contacting one of her specialists and getting a lift for the house. Picking her up is getting more and more difficult. (She now weighs almost 65 lbs.). My back won’t hold out much longer. Second, follow up on my bathroom remodel. We are just now starting the process to put in a walk in shower on the main level for Sierra. Bath time has been stressful and we are looking forward to the new bathroom. Sierra is sick today and her autoimmune thing flared up as a result. Unfortunately,today was the day she was suppose to have surgery to have her VNS battery replaced. When this flares up her eyes swell shut and lip swells up. So, I had to cancel the surgery and now we are resting at home. Hopefully she can have surgery next week. Sierra is a little more irritable than usual and is having more drop seizures. She is waiting to have surgery to replace her VNS battery. We believe this is why we are seeing more seizure activity. As a result, she is not sleeping good at night. Prayers for Sierra are appreciated. I'm praying for you sweetie!